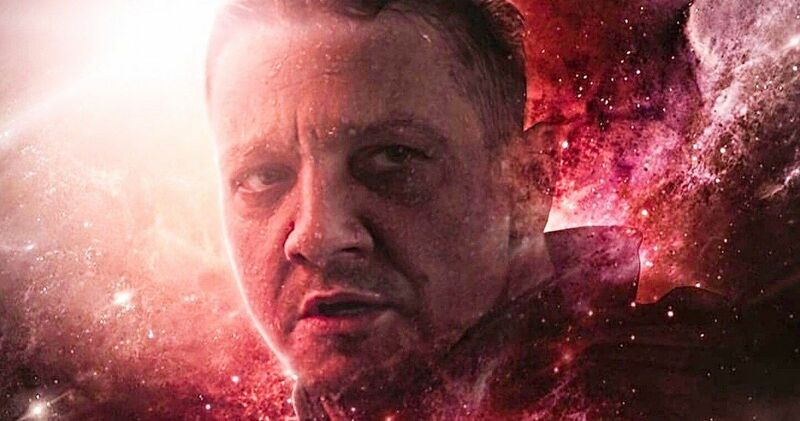 Jeremy Renner has revealed that he’s back on the set of Avengers: Endgame for reshoots. Fans were under the assumption that the reshoots for the most anticipated movie of 2019 had wrapped back in October, but that apparently isn’t the case since Renner is the third member of the cast to announce being back on the set. Earlier this week, Nebula actress Karen Gillen and Gamora actress Zoe Saldana revealed that they were back for reshoots and that they were done with their parts for the time being. Zoe Saldana posted a cool time lapse video of her getting the Gamora makeup removed, but Jeremy Renner decided to go with what appears to be a traditional selfie. His Ronin/Hawkeye hair style is on full display, but that’s about the only thing that we can see since he’s wearing a large jacket. As for where the Avengers: Endgame reshoots are taking place, that is currently unclear, though the location is thought to be either Atlanta or Los Angeles. Keeping tradition with the last posts Renner made from the set, he hashtagged Infinity War, which is interesting. Jeremy Renner also mentioned that he is almost finished with the Avengers: Endgame reshoots and that he needs a massage. It’s unknown if the actor is talking about the reshoots as a whole being nearly complete or just his individual parts. Since he says that he needs a massage, one can imagine that he’s probably been doing some taxing physical scenes for the past few days. Renner’s post also brings up the question as to how many more members of the cast returned or are in the process of returning for the reshoots. Avengers: Endgame hits theaters in less than 100 days, so it’s imagined that the Russo Brothers and the Marvel Studios team are working overtime to get everything just right. The directing duo worked on Infinity War up until the last second, putting all of the final tweaks and finishing touches on the movie right before it hit theaters. Captain Marvel is only a few months away and Kevin Feige and crew are still tinkering with it, from editing to the CGI. It’s a busy time for Marvel Studios for what looks like will be another record breaking year for the studio. In addition to Captain Marvel and Avengers: Endgame, Marvel Studios also has their joint project with Sony, Spider-Man: Far From Home, hitting theaters this summer. The first trailer for the sequel was unveiled earlier this week and MCU fans have been trying to put some pieces together to see how the movie could give anything away about Endgame, since it takes place right after. Obviously, Sony and Marvel Studios know what they’re doing and aren’t going to spoil anything outright, but fans are still tearing apart every frame. As the Avengers: Endgame reshoots continue, you can check out the latest look from the set below, thanks to Jeremy Renner’s Instagram account.